Of course I didn’t forget "Breathe." No list of The Prodigy tunes could be complete without their best selling and most popular song. With its impeccable production quality, myriad of sampled genres such as The Spencer Davis Group and the unforgettable sword samples from the intro to "Da Mystery of Chessboxin’" by hip-hop legends The Wu-Tang Clan, the second single off of Fat of the Land rounded out what was one of the top selling albums of the late 90's, and when you listen to it it’s plain to see just why. 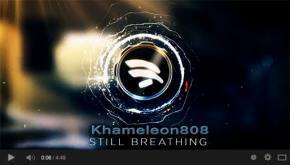 Khameleon808 crafts remix video for The Glitch Mob take on Prodigy's "Breathe"